You will have discussed an end desired look for your new extensions, it is helpful for your stylist if you bring a picture of what you would like … the cut is as important as the application of your hair extensions, only fully qualified extension specialists and qualified hairdressers are able to deliver this whole package. Hair Extensions Cornwall holds both extension and hairdressing qualifications and you will receive expert blending of your extensions with your natural hair, in the style you have chosen. We carry out thorough consultations, always listen to what you want, and make suggestions that will work for you. 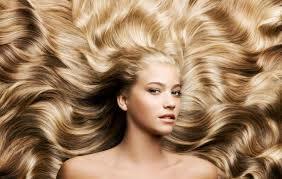 We advise on all aspects of hair care including home care to help you maintain your look in between maintenance visits. There are many individual’s that qualify in one day to apply extensions and they are also the ones blending in your hair, some will advise you go to your regular hairdresser for styling, while most will attempt the cut and style themselves with absolutely no experience, apart from been shown how to use a razor for blending, on their one day course! You want to feel confident about your choice and enjoy the experience.